Dr. Juan P Grimaldos, MD is a Doctor primarily located in Fort Worth, TX. His specialties include Pediatrics and Anesthesiology. He speaks English. Dr. Grimaldos has received 2 awards. The overall average patient rating of Dr. Juan P Grimaldos is Excellent. Dr. Juan P Grimaldos has been rated by 9 patients. From those 9 patients 3 of those left a comment along with their rating. The overall rating for Dr. Juan P Grimaldos is 4.9 of 5.0 stars. I had a great experience during a difficult time with my sick son. Dr Grimaldos was very helpful and explained at length the anesthesia for our son. He made us feel at ease with the whole process. He seems to know lots about his specialty and answered all of our questions. I will definitively recommend him to any family requiring anesthesia for their children. Great physician! 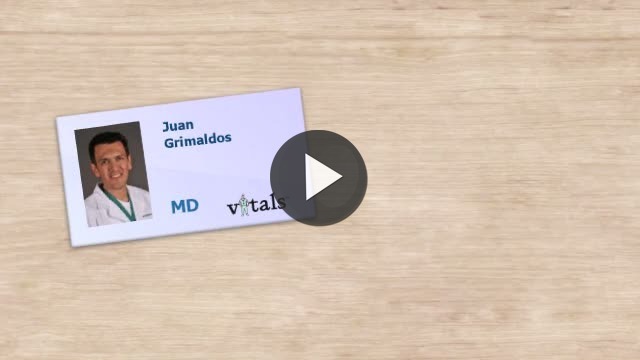 Take a minute to learn about Dr. Juan P Grimaldos, MD - Pediatrics in Fort Worth, TX, in this video. Dr. Juan P Grimaldos is similar to the following 4 Doctors near Fort Worth, TX. Have you had a recent visit with Dr. Juan P Grimaldos? Select a star to let us know how it was.